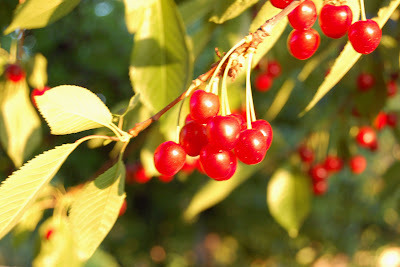 Not the greatest shot... but still fun to pick cherries on Sunday night. Great picture of the sun and the cherries! I think it is a great photo! Those cherries are so red they almost look like they're glowing!